Stonehenge monument is seen on December 11, 2013 in Wiltshire, England. We may not know exactly how or why Stonehenge was built, but new research affords a glimpse of the people who erected England’s iconic stone monument some 5,000 years ago, NBC News reported. 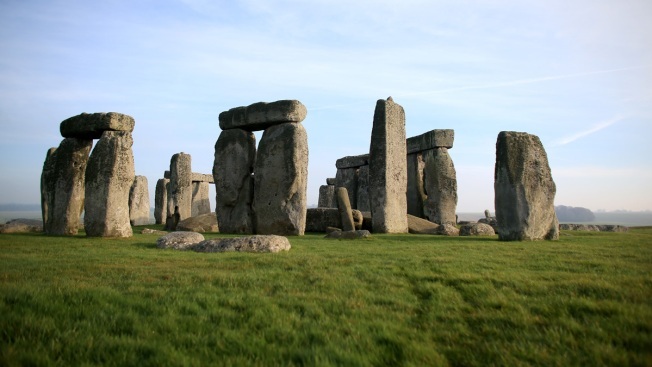 The study, which examined the origins of farming in Britain, shows that the people living in the region at the time Stonehenge was built were descended from people who had migrated to the area about 6,000 years ago from present-day Turkey. A paper describing the research — an analysis of DNA from the skeletal remains of farmers who lived in England from 6,000 to 4,500 years ago during the Neolithic period — doesn’t focus on Stonehenge or even mention it. But Selina Brace, an expert in ancient DNA with the Natural History Museum in London and the paper’s lead author, said it was possible to link the monument to the research — as some media outlets were quick to do.